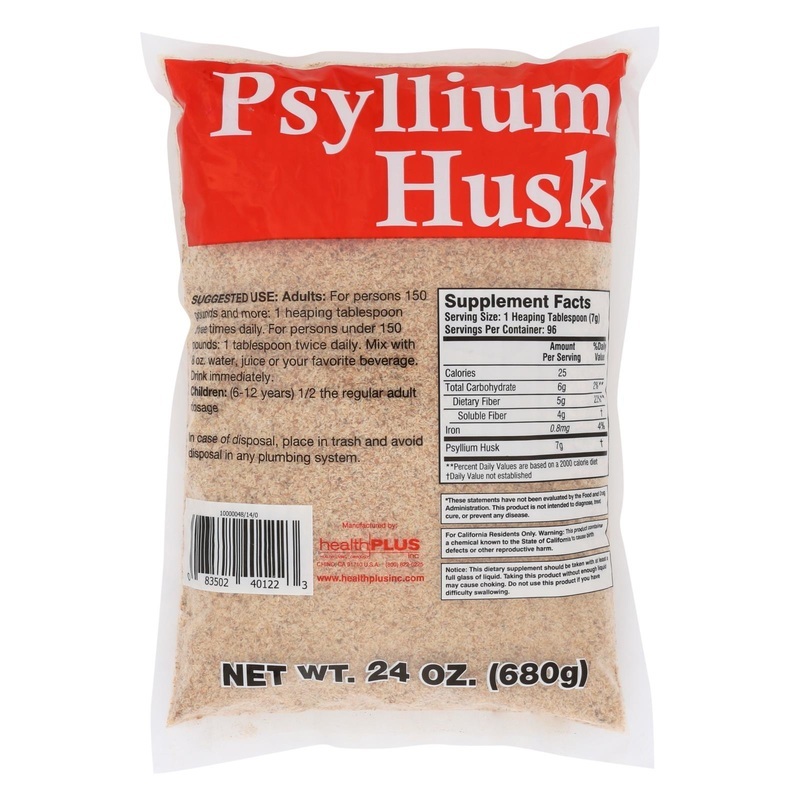 Psyllium husk is a soluble fiber. Soluble fiber reacts by absorbing water in the intestine, creating a gel substance. 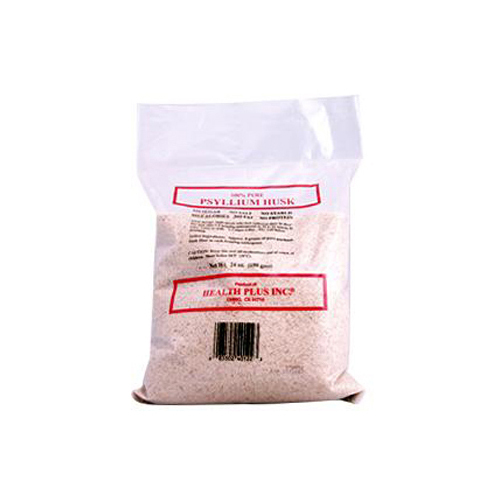 During this reaction Psyllium Husk aids in: a healthy digestive system, heart health, weight management, regularity, and detoxification of the colon. Free Of Sugar, salt, starch, calories, fat, protein. Disclaimer These statements have not been evaluated by the FDA. These products are not intended to diagnose, treat, cure, or prevent any disease. Adult dosage: Individuals who lack sufficient fiber in their diet may take 1-2 heaping tablespoons in 10 to 12 ounces of juice, water or milk. 1-3 times a day. Mix well before drinking. Ingredients: Active ingredients: approx. 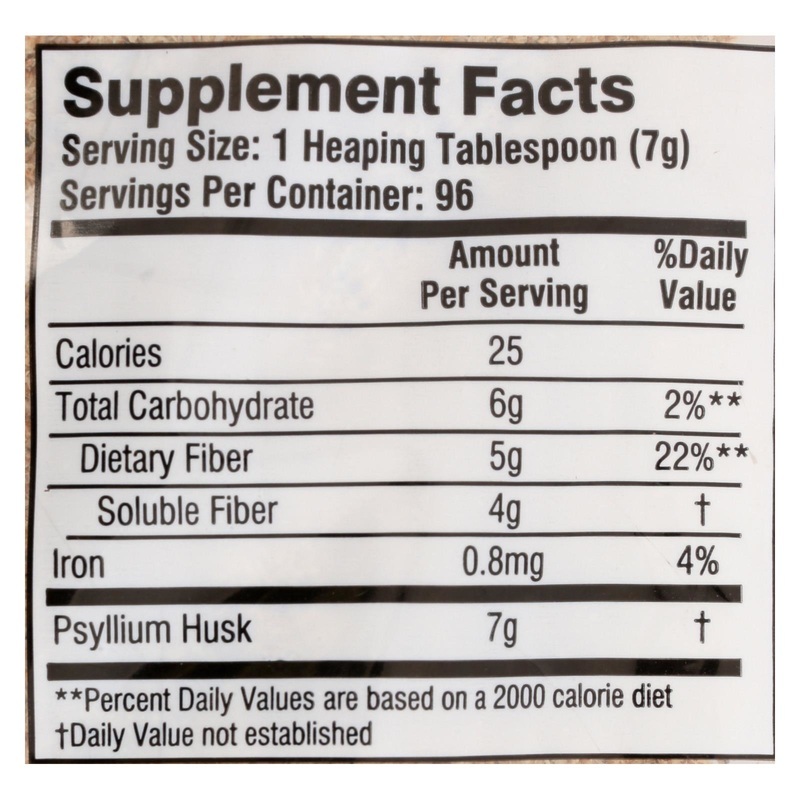 8 grams of pure psyllium husk fiber in each heaping tablespoon.